On 11 November 2012 Trevor Ian Maskery (James in religion) was ordained a Reader at the Church of Saint Alban, St. Alban’s Walk, Ordnance Street, Chatham, Kent, at the hands of Abba Seraphim. On 11 November 2012 Roman Ivanovitch Benchak was ordained a Subdeacon at the Church of Saint Alban, St. Alban’s Walk, Ordnance Street, Chatham, Kent, at the hands of Abba Seraphim. On 1 August Father Peter Farrington represented Abba Seraphim (who was out of the country at the time) at a Festive Reception to mark the fiftieth birthday of His Eminence Archbishop Elisey of Sourozh, the diocesan of the Russian Orthodox Church in Great Britain. This was held at The Cavalry & Guards Club in Piccadilly, London, and was hosted by the Trustees of the Diocese of Sourozh. A Chopin Recital by Nelly Akopian-Tamarina, the distinguished Russian pianist, who studied at the Moscow Conservatoire under the legendary Alexander Boroisovich Goldenweise, was followed by a celebratory dinner. Among the distinguished guests were H.R.H. Prince Michael of Kent, Archbishop Innokenty, the previous hierarch responsible for the Russian Orthodox Church in the British Isles, His Eminence Archbishop Gregorios of Thyateira and the Ambassadors of Belorussia and the Ukraine. Father Peter offered congratulations to Archbishop Elisey on behalf of Abba Seraphim and the British Orthodox Church, and was especially pleased to be able to meet Father John Chapman, the Bishop of London’s Chaplain for International Churches, and Father Benedict Ramsden of the Russian Orthodox Church. On 27 August, 2012 the Committee of the Eritrean Orthodox UK subdiocese of Europe met together with Abba Seraphim in Charlton to confer on their mission and progress. 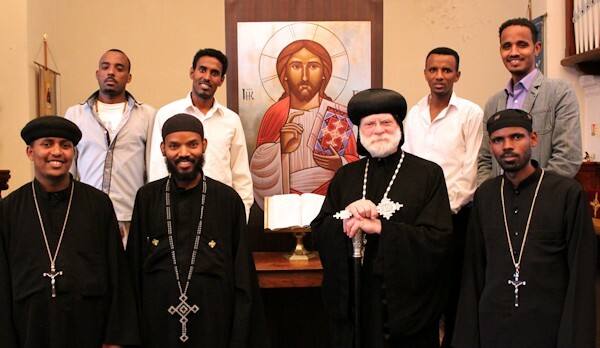 Prayers were said for the entire European diocese and especially for His Grace Bishop Makarios, whose ministry in caring for the worldwide Eritrean diaspora has already borne much fruit. Abba Seraphim especially welcomed the latest member of the priesthood, Father Mulebrhan of Birmingham, who was ordained last month by His Grace Archbishop Antonios of the Ethiopian Orthodox Tewehedo Diocese of North West Europe. The Orthodox Mission of St Andrew, Windsor, was inaugurated with the first regular monthly service of prayer in October 2012. Through the hospitality of the Rev’d Louise Brown and the parish of St. Andrew, Clewer, regular monthly services of prayer and teaching have been held on the evening of the second Monday at the church in Mill Lane. Father Peter Farrington has been responsible for this ministry and reports that the response has been encouraging, with numbers steadily growing. 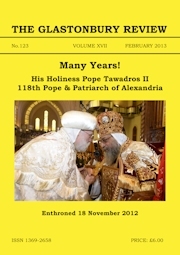 The first Divine Liturgy is to be celebrated by Abba Seraphim on 16 March at 9.30 a.m.
31 August and 1 September were significant dates in the history of the Oriental Orthodox churches in the United Kingdom, as His Grace Dr. Mathews Mar Timotheos, Bishop of the Indian Orthodox Diocese of Europe & Africa, consecrated the second Indian Orthodox Church in the United Kingdom. 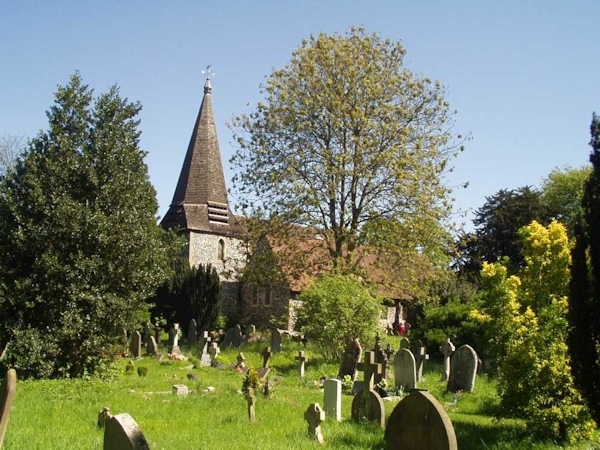 The new church, dedicated to Saint Thomas, which is to serve the growing Indian Orthodox community in North London – now estimated at some 130 families, is situated just north of the M25 at St. Agnells Lane, Hemel Hemstead, HP2 7AY. The building is a redundant Church which had fallen into disrepair but had undergone extensive renovation, including the construction of a new Western entrance in the style of Malankara churches. On the Eve of the consecration, Mar Timotheos laid the foundation stone for the altar, which was then solemnly consecrated the next morning. A large congregation attended as well as a number of ecumenical visitors. From the British Orthodox Church, Abba Seraphim, Father Peter Farrington and subdeacon Daniel Malyon assisted in the sanctuary, whilst Father Mina from St. Mary & Archangel Michael Church at Golders Green, represented H.G. Bishop Angaelos and Father Haile Meskel Samuels represented the Ethiopian Orthodox Church. Father George Joy, the parish priest, and his congregation provided a warm welcome and added to the general celebratory nature of the occasion.